In stock -This product will ship today if ordered within the next 6 hours and 4 minutes. 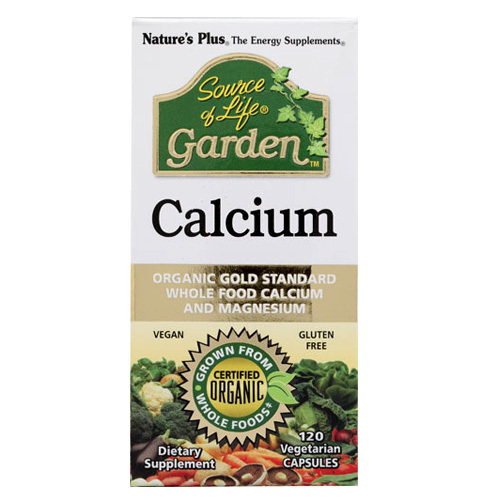 Nature`s Plus Source of Life Garden Calcium with Organic Gold Standard Nutrients is the breakthrough all-organic source of whole-plant-source calcium and magnesium. Garden Calcium features Certified Organic AlgaeCal – the most assimilable plant-based Calcium and Magnesium. This marine algae is carefully and sustainably, harvested live from the pristine shores of a protected coastline in South America. In a base of Certified Organic whole fruits, vegetables, mushrooms, algae, herbs and green foods. Adequate calcium as part of a healthful diet, along with physical activity may help bone health. 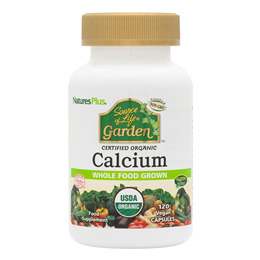 Below are reviews of Source of Life Garden Calcium - 120 Vegicaps by bodykind customers. If you have tried this product we'd love to hear what you think so please leave a review. Nature`s Plus Source of Life Garden Calcium is is the breakthrough all-organic source of whole-plant-source calcium & magnesium. Garden Calcium features Certified Organic AlgaeCal, the most assimilable plant-based Calcium.